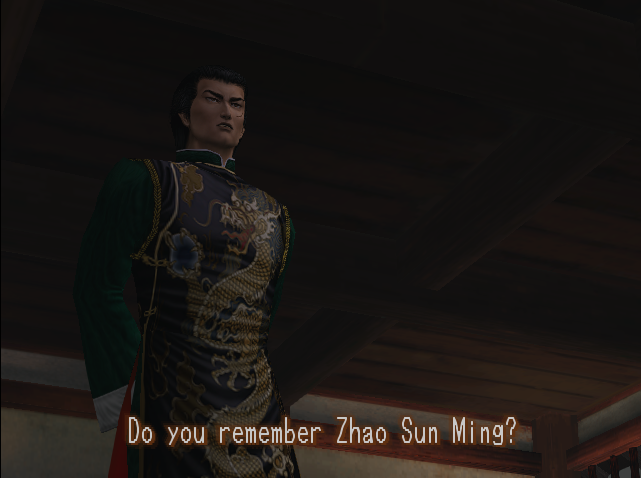 Lan Di: Do you remember Zhao Sun Ming? 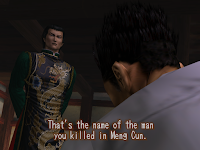 Lan Di: That's the name of the man you killed in Meng Cun. 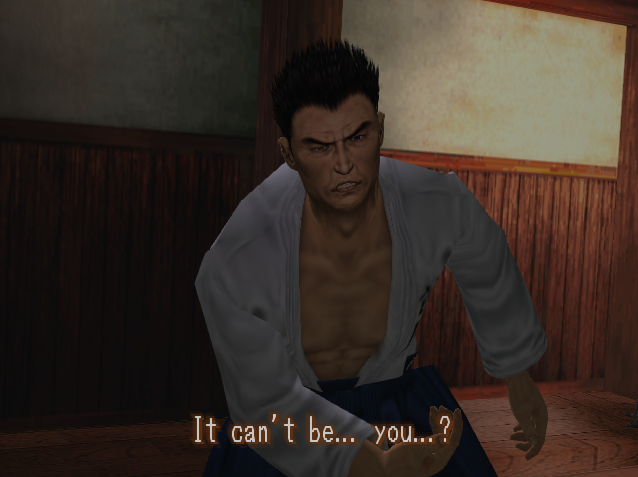 Iwao: It can't be... you... ? Lan Di: 猛村で、お前が殺した男の名だ It's the name of the man you killed in Meng Cun. The first word in Japanese is "masaka", which is an exclamation of incredulity - something along the lines of "Surely not..." or "No way.." Again, the in-game translation, having "It can't be...", is fine to this point. 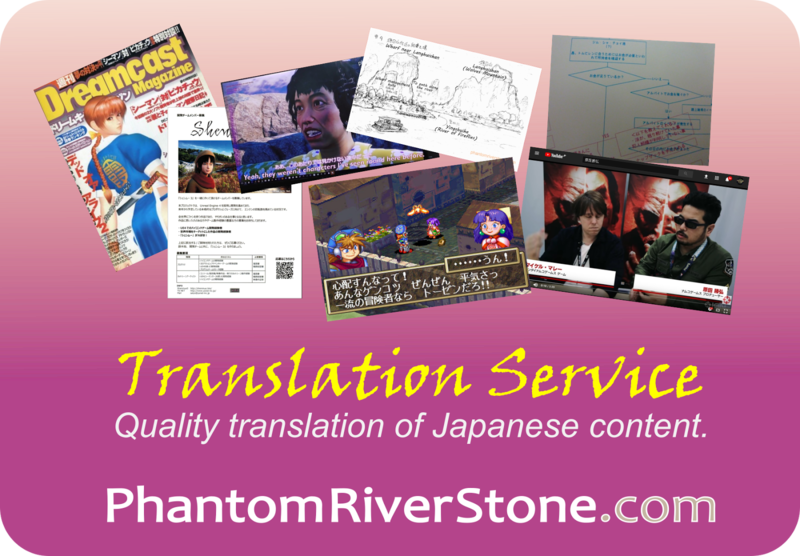 It is at the very last part of the sentence where a small nuance is revealed compared to the official English translation. This is because the Japanese ends in a grammatical particle ("wa"), which signals that the sentence is incomplete. 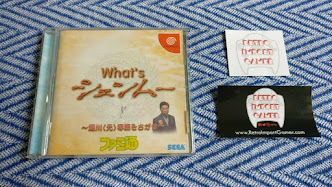 Note also the use of both a question mark and an exclamation mark, conveying Iwao's bewilderment. To achieve a similar effect in the English, rather than the simple "you..." of the official translation, this could instead be expressed as a rhetorical question: "Are you...?!" Fitting this back into the overall sentence gives: "It can't be... Are you...?!" Or, alternatively: "You... can't be...?!" For example, his full thought that was left unspoken might be "You... can't be... his son?!". 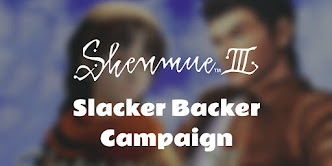 As I mentioned, it is more a subtle change in nuance rather than a new meaning, but I thought it deserved comment. 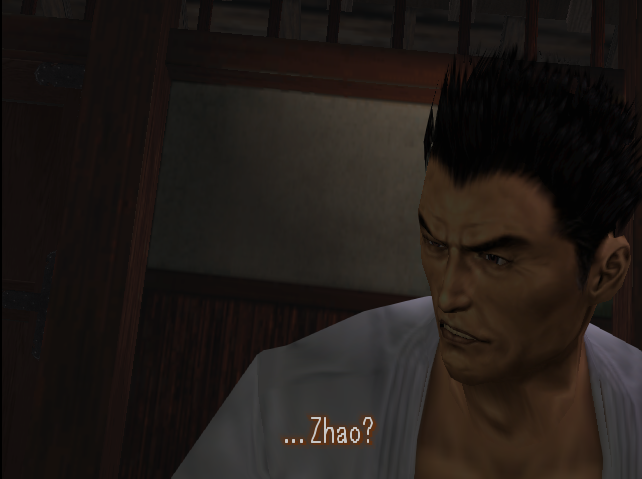 To me, the original English translation gives the impression that Iwao has been able to identify (or at least have a good guess at identifying) Lan Di as someone he specifically had in mind, although he did not recognize him directly. On the other hand, from the Japanese we see that Iwao is slightly less certain, as if he does not really know who Lan Di could be, and he is making a speculative guess based off Lan Di's mention of Zhao Sun Ming. Have you ever wondered about this particular line from Iwao? Has this changed your interpretation of it at all? Leave your thoughts below! My wife is Japanese, from Osaka. I showed here the Japanese version and asked here what her translation to English would be and she said it would be a feeling of, "is it really you?" Thanks for your comment, it's interesting the variations that this one small phrase can suggest. WOW!!! IT S VERY INTERESTING!!! THANKS MAN!!! Thanks for your interesting blog!!!))) Man You are cool!!! I agree, at first it does seem strange that Iwao is surprised even though he seems to have anticipated that someone would turn up for the mirrors. While Ryo assumes he specifically knew Lan Di was coming, it would make sense if Iwao was expecting "someone" to come for them eventually, but he did not know exactly who or when. So I think his surprise may be at hearing Lan Di mention the death of Sun Ming, as he tries to figure out who Lan Di really is. The fact is Iwao may have not killed Zhao Sun Ming, or rather be controlled by it's mystical energie to do so (Ryo: I feel like it's pulling me in). It's not the fact the mirror is cursed but it has possession capabilities, as if it were alive. The Terracotta Army theory may have a conection with this.